The establishment of a creative technology center stems as an initiative in AADF’s education strategy. 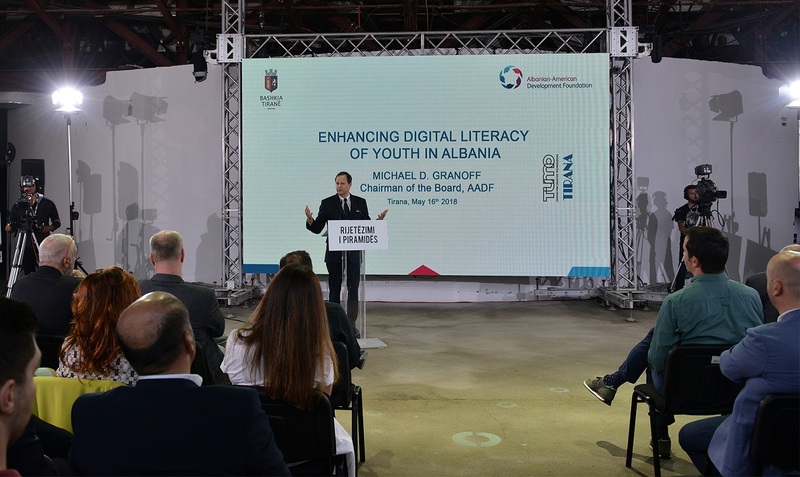 AADF foresees a bottom-up approach in ICT as effective in enhancing digital literacy in Albania. The main idea is to promote and create a place for Albanian teenagers to explore an innovative path and diversify their future skills. Beneficiaries will be able to create their own personalized learning plans utilizing a virtual environment designed to facilitate the multifaceted curriculum. AADF will consider designing a space that will allow creations and their exhibition. The proposed project intends to revitalize one of the main premises in Tirana through an architectural and business plan while guaranteeing leveraged partnerships between local, central government and other potential donors. The AADF and the Municipality of Tirana have joined efforts to bring the TUMO center to the premises of the Pyramid of Tirana. This ceremony introduced the draft concept design for the Pyramid and the TUMO Center for Creative Technologies to the citizens of Tirana. Attendees included AADF Chairman Michael Granoff, AADF Co-CEOs Martin Mata and Aleksander Sarapuli, Tirana Mayor Erion Veliaj, Prime Minister Edi Rama, MVRDV representative Ronald Hogeveen and CEO of TUMO Pegor Papazian. TUMO is an after-school learning environment for teens between the ages of 12 and 18 years old and provides courses in animation, web design, film making and game development. The skills teens acquire through the curricula will enable them to create their own portfolios in 2D Graphics, 3D Modeling, Computer Programing, Music, Drawing, Writing, New Media, Photography, Robotics and Motion Graphics. TUMO intertwines the latest technological concepts with self-paced learning and aims to increase the competitiveness of Albanian youth in the evolving knowledge-based economy. 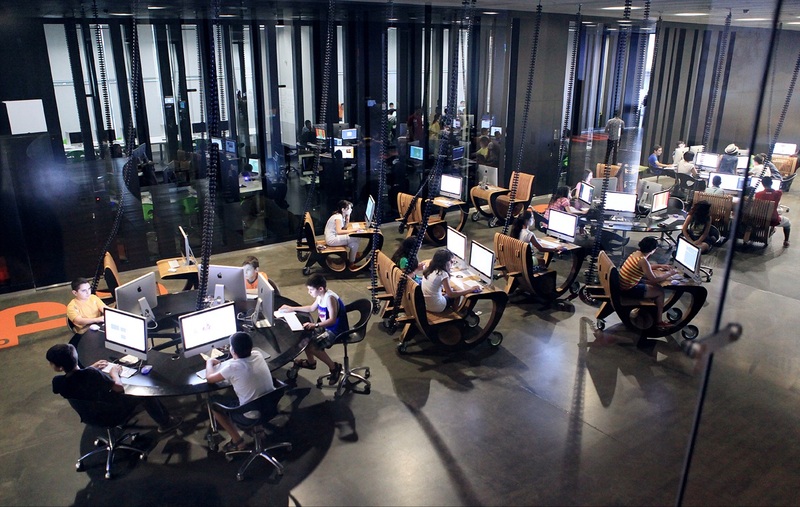 TUMO Centers are also set to open in Paris and Moscow in September 2018. As part of the “Enhancing Digital Literacy in Albania” Project, the Memorandum of Understanding for the Tirana Pyramid Revitalization Project was signed between the Albanian American Development Foundation (AADF), represented by Mr. Aleksander Sarapuli and Mr. Martin Mata, and the Municipality of Tirana, represented by Mr. Erion Veliaj. In AADF’s approach, strong partnership, dedication and successful implementation of major projects with all collaborators at central or local level play a significant role. The partnership with the Municipality of Tirana, as a key factor for a long-term relationship, is now supported by AADF with the funding for the architectural project and business plan needed for the revitalization of the Pyramid, promoting it as a model the creation of the TUMO Center for Creative Technologies. The Center will promote digital education, information technology culture in the arts, and create challenging spaces for young people in Albania.